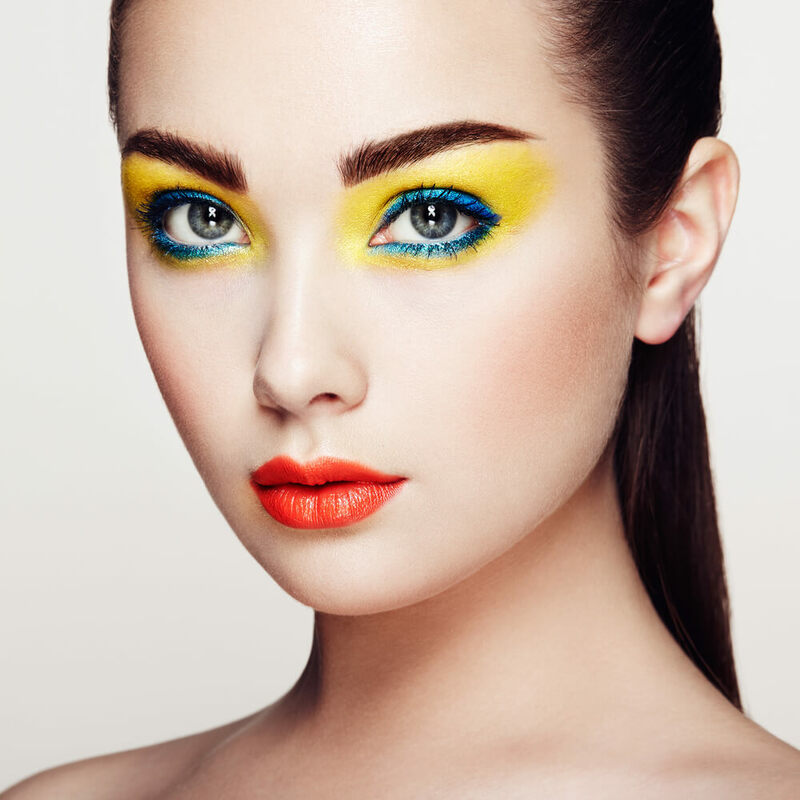 This summer brings with it so many exciting new makeup trends, with many of the best ones focused on the eyes. 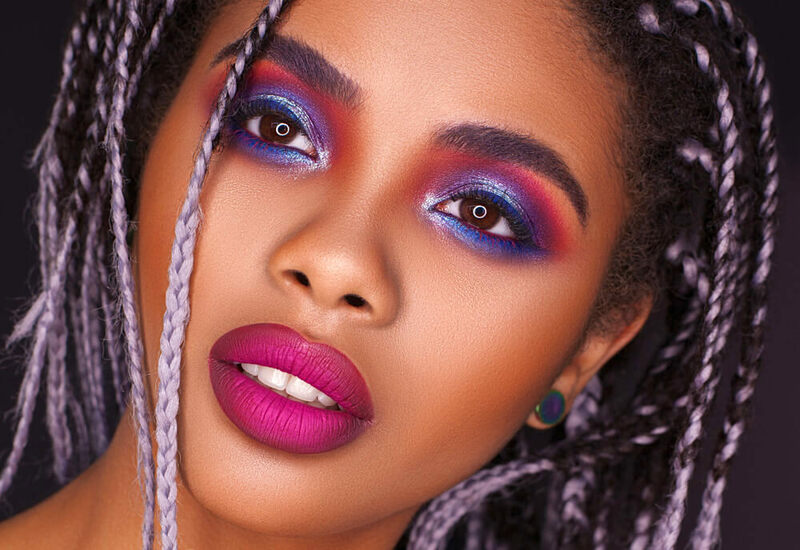 From peacock-inspired colors to dramatic underlined eyes, here are some of our favorite eye makeup trends for this summer. 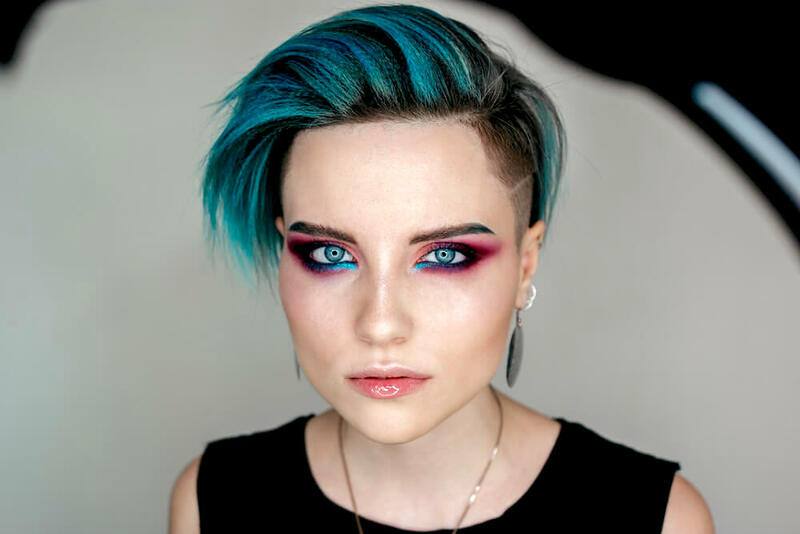 The sunny summer months are the perfect time of year to brighten up your look, and that is exactly what this makeup trend is aiming to do. From the models at Marni to the runway at Missoni, models were seen sporting bright pops of color on their eyes, giving their looks a fun and flirty feel. All you need is to give your lids a white base, which can be done quickly with a white eye pencil. Then, apply your shadow over the top of this, and you will find that the color is so much more vibrant and vivid. It is also important for the rest of your makeup to be relatively neutral. This will prevent your bright eyes from looking too over-the-top, so make sure you keep it minimal when it comes to your lips and your cheeks. Tempted to try matching your eyeshadow color to your outfit? Instead, choose a color that complements your outfit, as the contrast is important in order to keep this trend looking high fashion. The punk rock eye makeup trend was initiated by Tom Ford, who styled his models with a dramatic and edgy smoky eye. What made this look stand out even more was the fact that the models sported a fresh and dewy complexion with minimal makeup on the rest of their face, allowing their eyes to really make a statement. This fresh and dewy look is actually one of the top beauty trends for this summer, so these two trends tie in so well together. Can’t seem to pull off a smoky eye? Don’t like how a smoky eye seems to make your eyes appear smaller? This is a common issue, due to the darkness and heaviness of the colors on your lids. The way to counter this is by dabbing a small amount of a gold colored shimmer, whether this may be a highlighter or an eyeshadow, onto your lids directly above your iris. Wondering how this will make a difference? Well, each time you blink your eyes, that spot of shimmer will catch the light and reflect it slightly, and this will help to brighten up and open up your eyes. Each summer, there is usually one color that really dominates when it comes to makeup, and yellow seems to be the color of choice for summer 2018. This color has not only been seen all over major fashion runways, but is also taking over social media, with makeup artists and beauty bloggers all over the world turning to sunny shades of yellow for their eyes this season. Although this is quite a bold shade, there are actually quite a few ways in which you can bring yellow into your look, meaning that you can keep it quite subtle if you wish. Try overlaying the yellow with a soft gold shimmer, as this will help to tone down the vibrancy of the yellow. Crystals are making quite the comeback this summer, and are the perfect way to give your face some extra sparkle in the summer sun. They are such a fun accessory to experiment with, as each different placement on your face will give you quite the unique look. Try applying some crystals to the base of your lashes, or even to your lower lids. You could even extend the crystals out, so that they create their own sparkly cat eye. Not sure how to actually go about applying these crystals? All you need is a dab of eyelash glue in the area you want to apply them. Want your eyes to really make an impact? Then it is time to get graphic with your eyeliner. For those who have a darker skin tone, this look will really stand out, as the white will contrast beautifully with your skin’s natural color. This look can be brightened up even more with the use of different colors, so experiment with a variety of shades. The cat eye is such a classic makeup look, but this summer adds on a little twist to it. Rather than creating a standard cat eye on the outer edges of your eyes, try inverting this, so the cat eye is on the inner corners of your eyes instead. All you need to do is draw on a very small V-shape, and this will emphasize your eyes in a whole new way. Peacocks are such colorful, flamboyant creatures, and there is so much inspiration to be had from them when it comes to colors, textures and patterns. This summer, peacock-inspired styles will be all the rage, especially when it comes to the eyes. There are no strict rules about what you need to do. Instead, experiment with rich shades of blues and greens, applying these to your eyes in various styles. Invest in some feathery faux lashes, to really give your eyes a big flutter. While the smoky eye will always be on trend, it can sometimes be a little too dark and heavy for summer daytime wear. This new trend lightens it up significantly, with a color that beautifully reflects the softness of the summer months. Peach is the way to go this season when it comes to a daytime smoky eye. Wondering how to actually create a smoky effect with peach? Simply blend a couple of different shades of peach eyeshadow across your lids, as well as your lower lash line. The most common place to apply eyeliner is on the upper lids, but this summer spins this upside down, with the trend being for eyes to be underlined instead. This is another look that you can either take quite far or keep subtle, depending on how much of a statement you want to make. For something quite subtle, keep the line close to your lower lash line. Alternatively, bring it down a bit, and add in some feathered lines to give off the impression of eyelashes. When it comes to makeup, olive is quite an interesting color, because although it can be neutral at times, it can also look quite bold, and this all depends on how you use it. Several celebrities, from Margot Robbie to Jenna Dewan, have been spotted recently with shades of olive on their eyes, giving them a casual yet sultry look. Apply some olive eyeshadow to your top lash line, and then blend this out well, so that you are not left with any harsh edges. Your brows are so important for framing your face, and they will either help to make or break any eye makeup looks that you decide to try out. While impeccably groomed brows were the way to go in previous years, summer 2018 sees the full, feathery brow make a comeback. Are your brows naturally quite thin and sparse? If so, you can thicken them up with a tinted gel, applying this to your brows in a back and forth motion, similar to that of a windshield wiper. This helps to coat all sides of your eyebrow hairs, giving you a much fuller finish. This trend is largely due to the new eyeshadow palette launches that the industry has seen so far this year, with mermaid-inspired shades featuring quite heavily. Not sure what mermaid-inspired colors are? Predominantly blues and greens, with some pops of extra color to really help everything to stand out. Can’t decide whether to go for a matte or a shimmer? If you have mature skin, a matte shade would be best, as these will not settle into creases or lines. On the other hand, if the skin on your eyelids is quite smooth and fresh, then a shimmer would work well for you. Alternatively, you can always go for both. Simply use a shimmer shade on the bottom half of your lids, and then blend this upwards into a matte shade as you reach the crease of your eye. A common trick used by makeup artists to brighten up the eyes is to place a dab of a neutral eyeshadow shade, such as champagne or white, in the inner corners. Rather than using the conventional neutral shades on the inner corners of the eye, makeup artists are turning to colorful options instead. Try going with a dusky pink or a baby blue, adding a small amount of this to your inner corners. This will not only help to really open your eyes up, but will also give your face a subtle pop of color too. With sleek Cleopatra-inspired bangs being a huge hair trend this season, it only makes sense that Cleopatra eyes are also on trend. 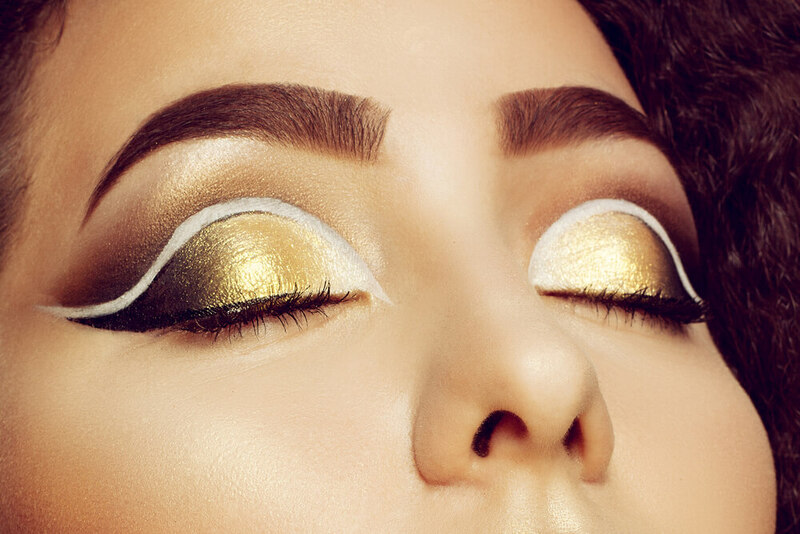 Your eyeliner is key here, and makeup artists have been enhancing the way in which Cleopatra would have worn this, by making the lines even thicker and bolder. Designers such as Marc Jacobs and Roberto Cavalli draw lines along the upper and lower lash line, bringing these together into sharp points at the outer corners of the eye. Alternatively, designers such as Tom Ford and Tommy Hilfiger opted for a heavy black shadow, applying this in rounded shapes around the eyes. Eye makeup is always so much fun to experiment with, and can really make a huge difference to your overall look. Whether you decide to adorn your eyes with crystals or use a white eyeliner to create some graphic shapes, do not be afraid to give each of these styles a try so that you can work out what really suits you. This entry was posted in Makeup and tagged beauty trends, creative makeup, eye makeup, Eyeliner, eyeshadow, makeup trends, summer 2018. I heard so much about these products and can’t wait to try some.